Like the idea of a cruise that offers wellness around the clock? Blue World Voyages could be just what the doctor ordered. 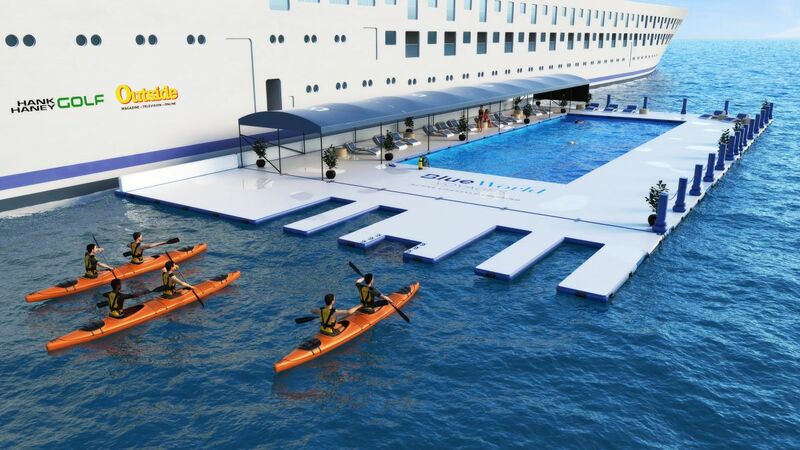 The first company in the global cruise industry fully dedicated to healthy, active lifestyles, Blue World Voyages, set to launch in summer 2019, will carve a new niche in the speciality cruise sector. Promoting ‘Active Lifestyle Cruising’, the inaugural ship will have an entire deck dedicated to sports, exercise and wellness, and a second dedicated to spa and rejuvenation. With locally sourced farm-to-table cuisine, active shore excursions, partnerships with experts and leading brands, it is set to be the ultimate cruise experience for wellness-minded adults. With the global wellness industry now worth $4.2 trillion, and wellness tourism currently experiencing a 6.5% annual growth, more than double the growth rate for annual tourism, the launch couldn’t come at a better time. The cruise will also meet the growing demand from travellers who are keen to stay healthy and active while on holiday, a trend we can expect to see more of in 2019. The bow to stern Sports Deck features golf and soccer simulators; batting cages; a functional training centre; yoga, spinning and TRX studios. There are three pools, including a sea water ‘lap pool’ for open water swim training. On the Spa Deck, guests can enjoy a relaxing therapy tub, indoor and outdoor treatment rooms and solarium. Three, 350 passenger, 5-star ‘casual’ ships are planned for the Blue World Voyages fleet. They will roam the world, with ports of call selected, based on the availability of activities such as cycling, hiking, golf and watersports; access to areas conducive to yoga and meditation; and opportunities for cultural and learning experiences. Each week, Blue World Voyages will sail on seven-day voyages with like-minded passengers who have an interest in living active, healthy lives. This offers a unique, motivating environment in contrast to a one-size-fits-all cruising experience. Sound good? Secure your place on this exciting luxury cruise launch – Blue World Voyages is now rewarding travellers with perks and incentives for visiting the website and registering for updates; visit blueworldvoyages.co.uk to find out more. Rebecca Barnes is an award-winning journalist who has written travel content for countless consumer, trade and customer titles including Tatler, Sunday Express and The Independent.